OMG, I’m so proud of these! 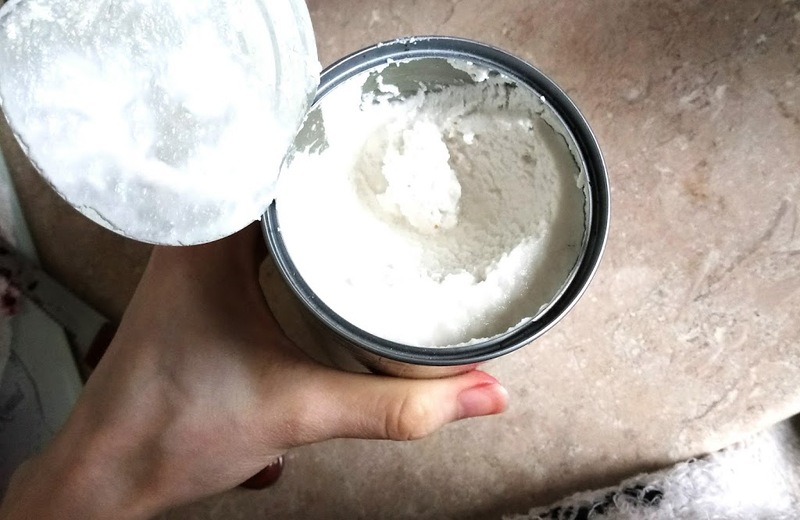 This recipe is actually quite low in sugar with lots of healthy fats from nuts, seeds, coconut and some protein powder. 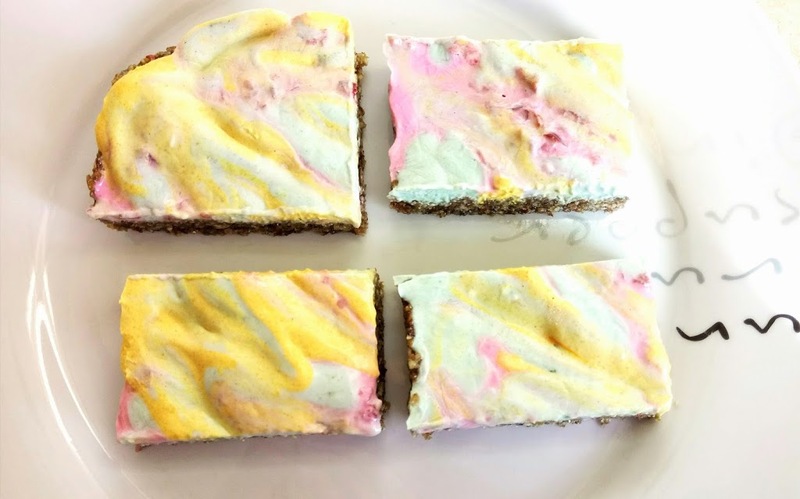 Plus the colours can be achieved from many different fruits so this recipe is super easy to make, don’t be thinking you won’t be able to find half the ingredients, this one is quite versatile. 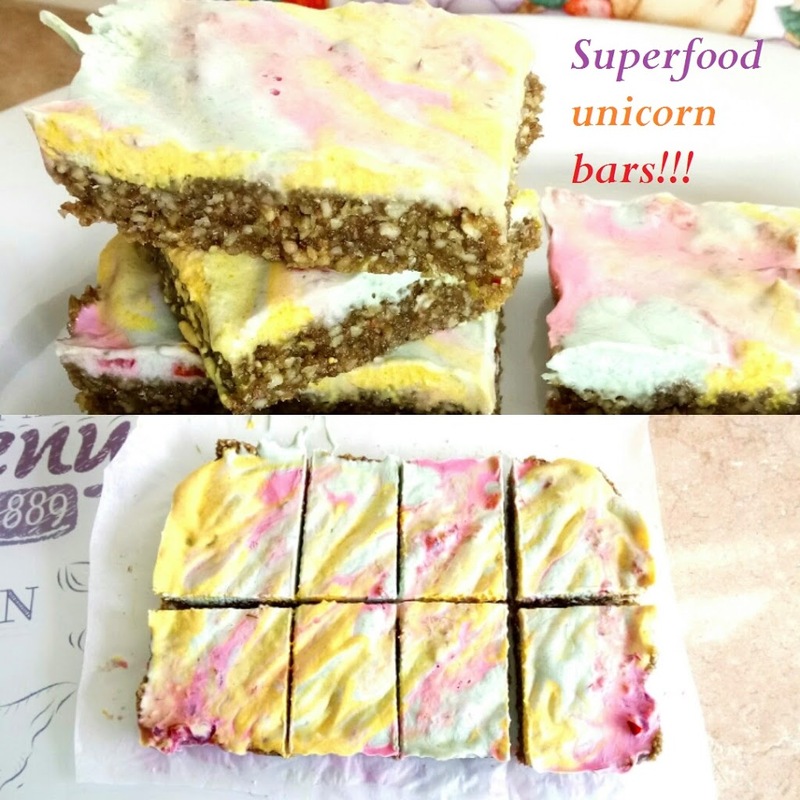 Super food unicorn bars 2 different ways! 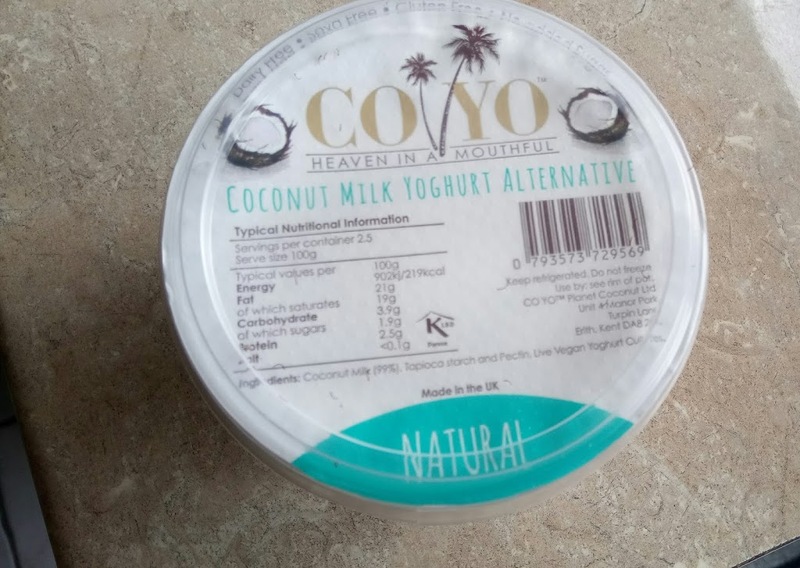 I’ve made the topping for these 2 different ways so that if you can’t get hold of the coconut yogurt (Coyo) which I used (I got it in a big Tesco) which is my first choice for best results, then you can still make them using a full fat can of coconut milk which you can get in any supermarket. It must be full fat as you need to use the solid parts to make it set. I prefer and used Biona organic coconut milk as they have more coconut than water, other brands can be more dilute so you might not get the right amount of solid coconut that you need, plus they don’t have preservatives either. The base is blended mixed seeds, nuts and protein powder with some honey/maple and water. I like to add hemp protein powder and walnuts into the mix to provide some anti-inflammatory omega 3 fats to balance the omega 6 and 9 in the rest of the nuts and seeds. This recipe was adapted from Glow by Popsugar. Rainbow goodness ready to go!